Cable and phone companies provide access to the internet. They're telecommunications carriers. They do not (and should not) have the right to censor or slow down my speech and my access to online content. When I use my broadband service, I decide who I communicate with and what information I transmit. I want the FCC to retain the ability to stop my internet service provider from interfering with my communications choices. The courts have already told the FCC that to do this, ISPs must remain under Title II. I'm urging FCC Chairman Ajit Pai to preserve real Net Neutrality rules and keep Title II in place for broadband internet access. On May 18, Trump’s FCC chairman, Ajit Pai, put in motion his plan to gut Net Neutrality. The current FCC rules prevent internet service providers from blocking content and speech online — and from relegating some sites to a slow lane while charging more for access to others. To save the internet, we need millions of people to speak out on the record. Send a comment to the FCC today and join the fight to protect real Net Neutrality. The most effective comments are the ones that are personal and reference the facts. You know why the internet and Net Neutrality are so important to you — tell the FCC why in your own words. Pai’s proposal to undo Title II would destroy Net Neutrality. One of Pai’s main goals is removing Title II of the Communications Act as the basis for any Net Neutrality rules. Title II treats ISPs like the telecommunications carriers they are. The previous FCC correctly put broadband-internet access back under Title II, because that law provides the solid foundation required for real Net Neutrality rules against blocking and discrimination.1 Before returning to Title II, the FCC lost in court in its two prior attempts to adopt Net Neutrality protections. The FCC simply can’t have strong Net Neutrality rules in place without Title II. We need enforceable rules to protect the open internet. Pai’s proposal doesn’t stop at destroying the legal foundation for Net Neutrality. It suggests getting rid of the rules altogether. Internet service providers like Comcast aren’t going to regulate themselves — Pai’s suggestion that ISPs might simply agree to comply with Net Neutrality principles is laughable. Our access to the internet, the greatest communication tool of this century, shouldn’t depend solely on the whims of a corporation. Destroying Net Neutrality harms people and businesses and allows cable and phone companies to rip us off. Pai is aligned with the Trump administration and with giant corporations, like Verizon, where he worked before being appointed to the FCC. He’s been spreading misinformation about Net Neutrality and Title II since his earliest days as commissioner, constantly repeating debunked talking points and lies about the impact these rules have on ISP investment. 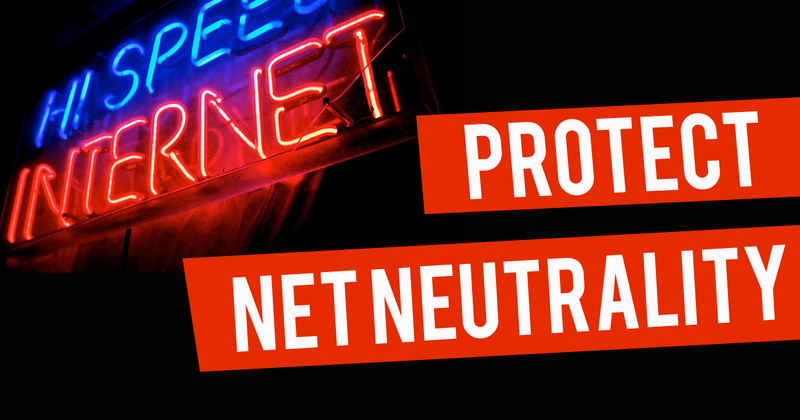 The loss of Net Neutrality would disproportionately impact vulnerable communities. People of color, immigrants, Muslims and LGBTQ communities are under siege by the Trump administration, and online organizing is one of the most effective ways to fight back. But without real Net Neutrality, ISPs would be able to control what we see and say on the internet. The future of online activism relies on our ability to safeguard Net Neutrality under Title II. Tell Ajit Pai, Trump and their corporate friends to get their hands off your internet freedom: Leave the FCC’s Net Neutrality rules alone. We'll make sure your comments are filed into the FCC docket.